I have the original art to the lost title "Gooya". I have been thinking of listing it on Ebay. 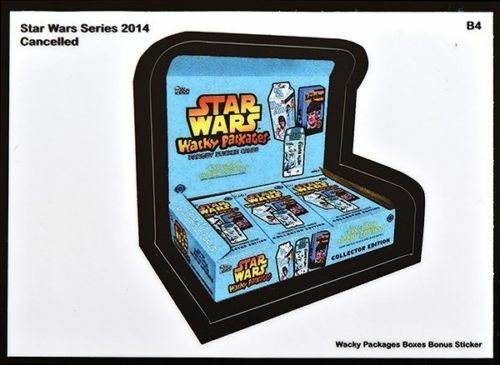 So the latest listing for the uncut sheet of lost wacky boxes has the Topps logo on the boxes. Isn't that an infringement of copyright? Topps doesn't seem to care about any of this, including the X-rated items being listed, sometimes even with the Topps name in the item title. I was thinking the same thing! 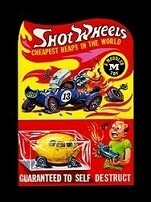 Last year, Greg asked me for high-resolution scans of my Wacky Ads 5 cent box. He had alluded to the possibility of doing an upgraded WP box poster, but after seeing these, I have a feeling that the scans may be used for something else! They are basically printing money. And when they run out, they can just print more. But, Topps doesn't mind; much more important to quash independent cards that were offered at a fraction of the price these single cards are selling for. R-O-Y-A-L-T-I-E-S.... sorry, never heard of that word! Rawgoo.... You mean I can print money too!!?? Do you think the buyer of these understands what they are? I saw that auction. That is insane. Paying over 1300 bucks for something that was just made, and not by Tops is crazy. Just think of all of the very cool Original series stuff you could have purchased with that cash. Wow. Apparently not. I'm still surprised that ebay hasn't required that the Ovary Show cards be moved to the adult section. P.T. Barnum was definitely correct. Why not print Wacky money? Just take the president off the bill and slap on Quacker Duck or even Dr. Ono if you dare. Oh, the beautiful minty Original Series Wackys that could have been bought with that kind of cash! Does anyone recognize who is buying these homemade cards? And he can't show that card to his wife. Nice investment! Does anyone recognize who is buying these homemade cards? 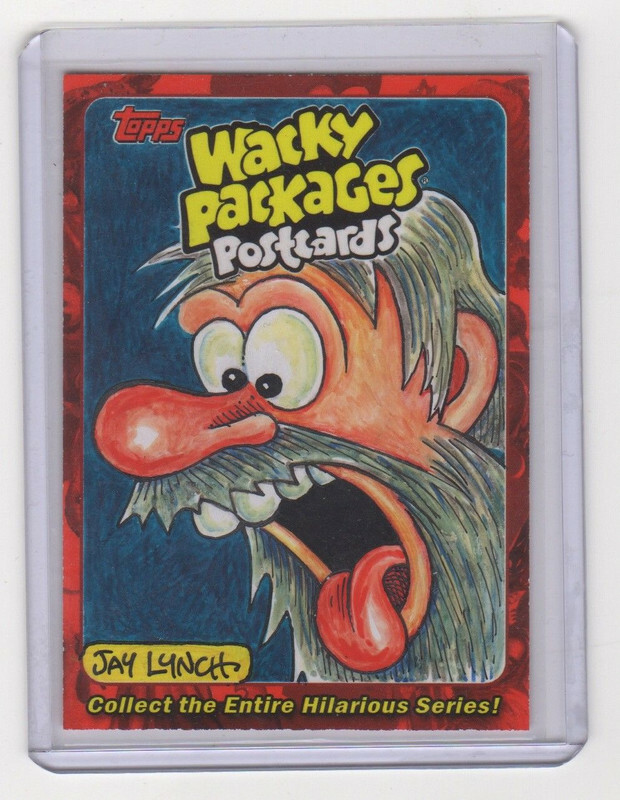 This Topps allows, but Halloween cards that aren't even called "Wackys" must be shredded. I am disgusted. IT WAS YOU! That out bid me. LOLOL. a bonus card for the cancelled WP-Star Wars set. the bar just keeps going lower and lower with these things. I can only hope we'll eventually get to see an image for "crumpled WP wrapper in parking lot outside a convenience store, circa '73"
I gotta admit that I saw this one and just chuckled. It IS a "Lost Wacky" of sorts. A legit cancelled series. I consider the person creating and selling these to be pretty audacious and a bit ridiculous. But not as ridiculous as the folks buying them. The irony is I have much more interest in a wacky release featuring display boxes, wrappers or that NY Magazine cover than the majority of the regular wacky releases we've seen lately. The subset in Old School 4 was fun. It IS a "Lost Wacky" of sorts. it's not even in the Lost Wacky set, which is funny. Just one of the "WP Boxes" set bonus cards, along with the fictitious '92 box. I managed to get one of these magazines many years ago. I love that huge black background inset that has a lot of the series 3 Wacky's. I love looking through it every now and then. "It shall be officially declared that March 6th shall be forever known as JAY DAY!" I Like that Sugar Baby art. I'll need to do a sketch card. I just had a terrifying thought. Years ago, I visited the grave site of Norm Saunders, as he retired to and was buried in my home town in Nebraska. I believe I posted photos of the headstone to the old Wacky forum around a decade ago. Is someone going to take a photo of Norm's headstone, throw a thick border around it and call IT a "Lost Wacky"? Is someone going to take a photo of Norm's headstone, throw a thick border around it and call IT a "Lost Wacky"? obverse pulled from a currently listed auction for a Postcards 7 sketch card. 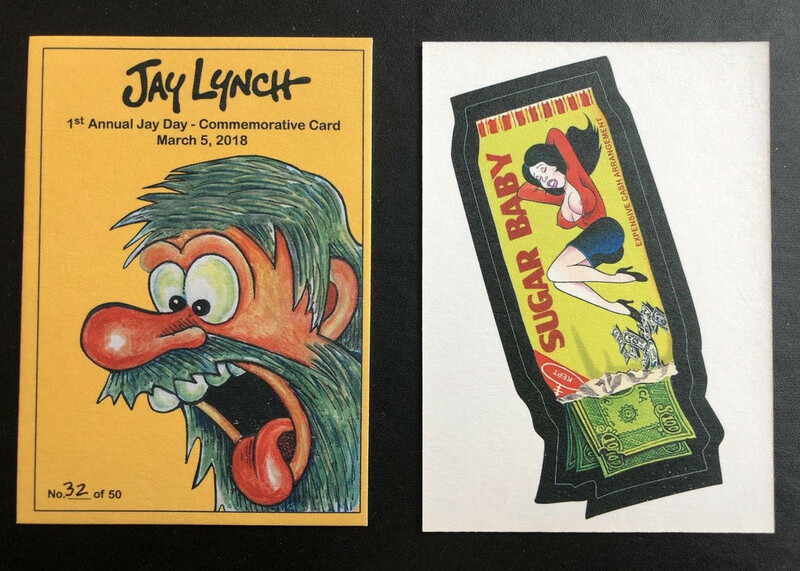 The photoshop attempt to fill in the hair where the "Wacky Packages Postcards" text was removed on the Jay Day card, looks like a poorly made toupe.